Despite the upcoming CBA season on the horizon, Yi Jianlian probably has other things on his mind. The current poster boy of Chinese basketball is a father for the first time (and presumably the only time under the country’s one-child policy) after his wife, Jing Ling gave birth to a son a couple of days ago. This would normally be a chance for celebration but instead a mini-scandal is underway in China about the identity of a child who is barely a week old. The root of the trouble appears to be where the baby was born as Yi’s wife reportedly gave birth to their son in a hospital in Los Angeles. This is not uncommon and it is estimated that 10,000 children were born to Chinese parents in American hospitals in 2012. However, the costs of getting to that point; securing a visa, comfortable flights for a heavily pregnant woman and up to three months of private maternity care can cost upwards of $50,000, meaning that only the wealthy in China can go through this process. More significantly though, US law also allows children born within its borders to become automatic citizens; a very attractive bonus for prospective Chinese parents. Yet China does not allow dual citizenship, meaning that those same parents must choose whether their child is technically American or from the mainland. Given the lengths it took to get the mother into America to give birth, the Chinese passport is almost never the one taken. Yi and Jing Ling, a former beauty queen turned model, are not the first prominent couple to go through this process but Yi’s status in China means that things have not be received well by people on the ground. Indeed, Yi, who was the flag bearer for his country during the opening ceremony of the London Olympics, now finds himself in a bit of a quandary. Some Chinese have pragmatically argued that anyone who has the money and the connections to get their child American citizenship would do it. Others feel that it is farcical for a player to be the face of the national team but at the same time take his wife abroad to have their child born in another sovereign state. This isn’t the first time this has happened with regard to a prominent Chinese athlete but the recurrence of this theme has awoken nationalist tensions. In 2010, the country’s media were equally intrigued when Yao Ming’s daughter was born in America and came to China under a visa rather than as a Chinese citizen. The difference though is that Yao was still playing in Houston with the Rockets when the child was born and his wife and family were living with him in the city. Yi would have had to have brought his wife to California independently, having left the NBA and America altogether in 2012. On a deeper level, the issue reflects the complicated relationship that Chinese athletes have with their country’s sports programs. Yi, like Yao before him, grew up in the sports school system in which young talents were spotted as children, monitored during their early teenage years and then incentivized to leave their families and train with the very best players from their province all year round. Forgoing an education in order to be trained up into an elite player was understandably a taxing thing, with generations of Chinese athletes perhaps seeing their families four times a year and only knowing the routines of twice-a-day practices when their former peers at elementary school were learning maths and literacy. Beyond the loss of a normal childhood, many athletes in these systems are often shielded from news, however critical, that might distract them from winning gold for China in the Olympics or other international tournaments. Yi perhaps feels he is entitled to take care of his own family having sacrificed so much of his life for Chinese basketball. Others, though, will argue he is only in that position because of the sports system and that he is now turning his back on the country that brought him his wealth. For Yi, a popular figure in China, his child’s birthplace now means the player himself is inadvertently aligned with the country’s loathed political class, who have been trying to move family members and wealth out of the country for more than a decade. Yi will return to China from LA with his reputation dented but intact. 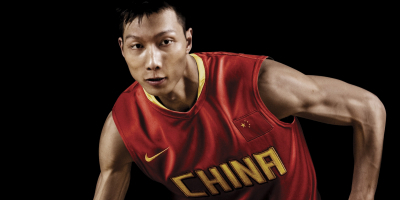 The bigger question though will be how he goes forward as the face of Chinese basketball when some feel his loyalties are not as clear as they should be.